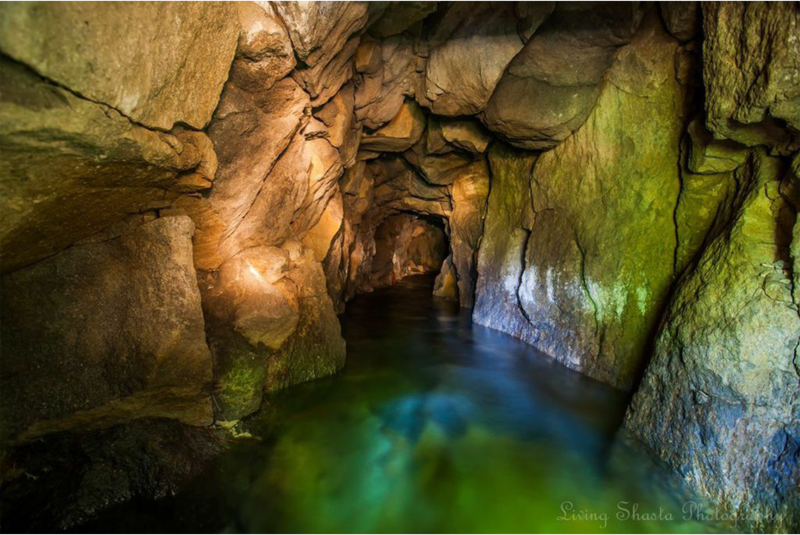 The caves of Mount Shasta are located at 3000 ft and are behind the green mossed stone walls shown in the second image. 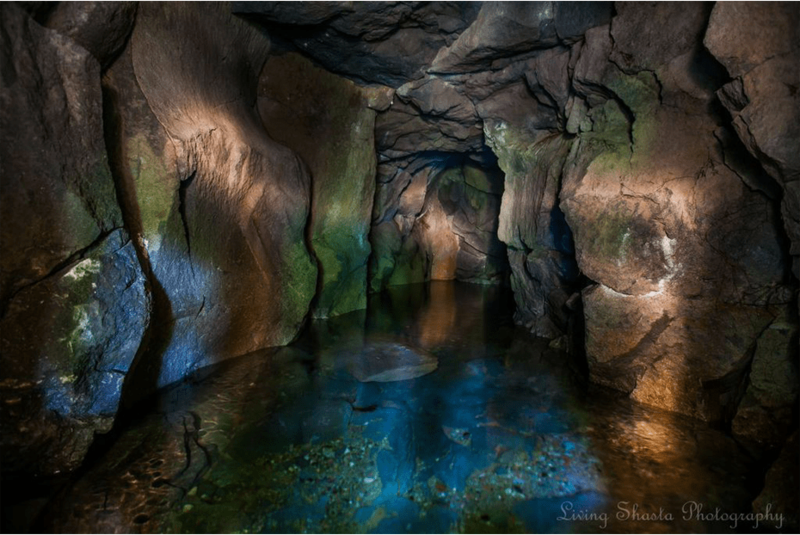 Two stainless steel doors protect the springs and the spring water that comes flowing out of these stone cracks also shown. 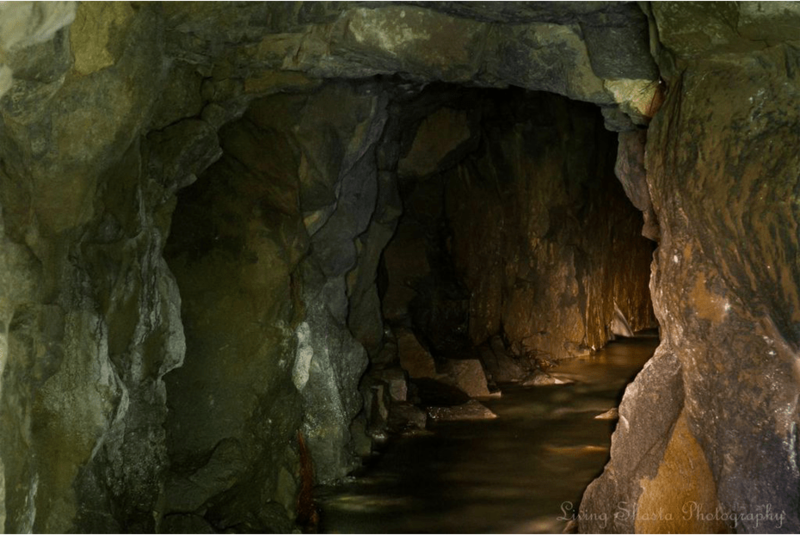 From the carbon dating we know that the water is at least 100 years to 10000 years old and from the oxygen isotopes and we also know that the water comes from the 7000 ft snow and glacier level. Two pipes lead out of the caves and feed the FDA certified bottling by gravity. Crowned with eternal snow, Mt. 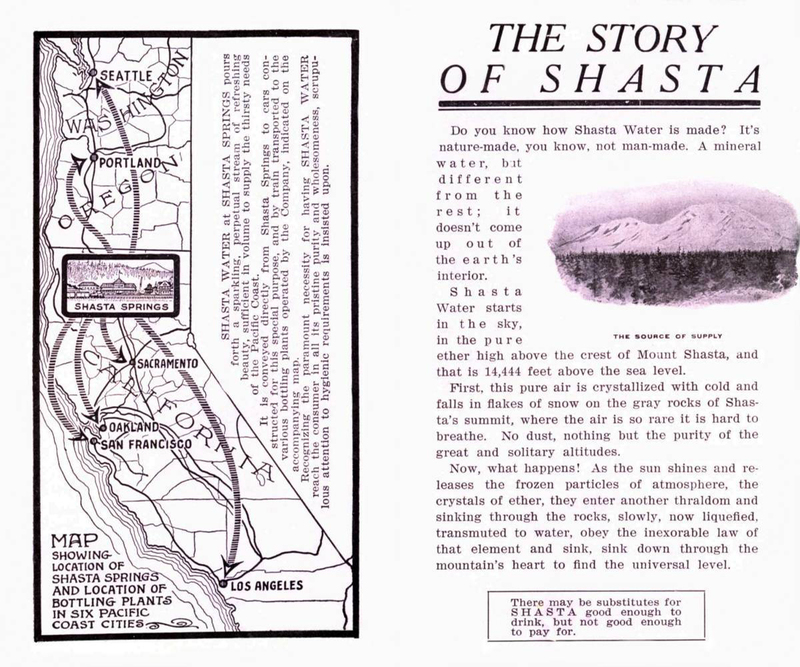 Shasta soars to an altitude of 14,162 feet, making it fifth highest elevation of any peak in the continental USA. 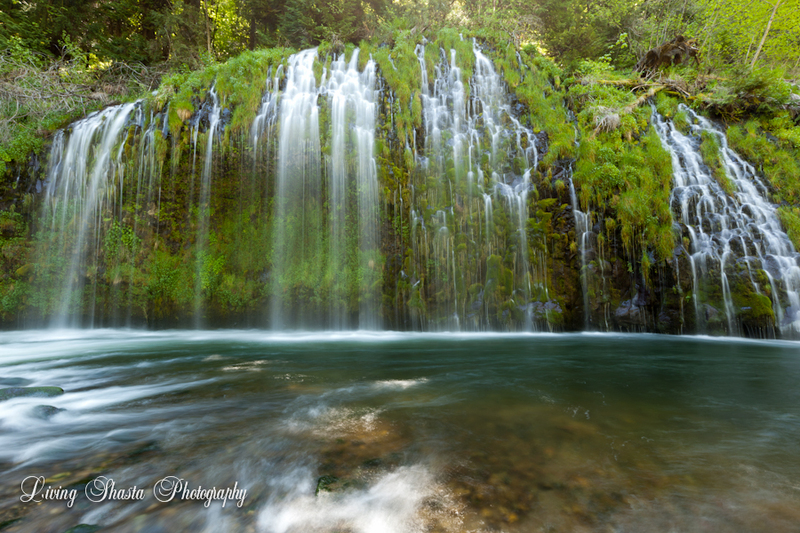 The surrounding landscape is blessed with miles of primeval forests, pristine rivers, and cascading waterfalls. In the late 1880’s, the construction of the new Central Pacific Railroad brought a fresh wave of lumber workers, mountaineers, and gold seekers to the area. Folklore has it that Canadian baron Alexander Dunsmuir arrived at the railway stop and was immediately struck by the region’s natural grandeur. He promised to build the settlers a foundation – if they would name the town in his honor. 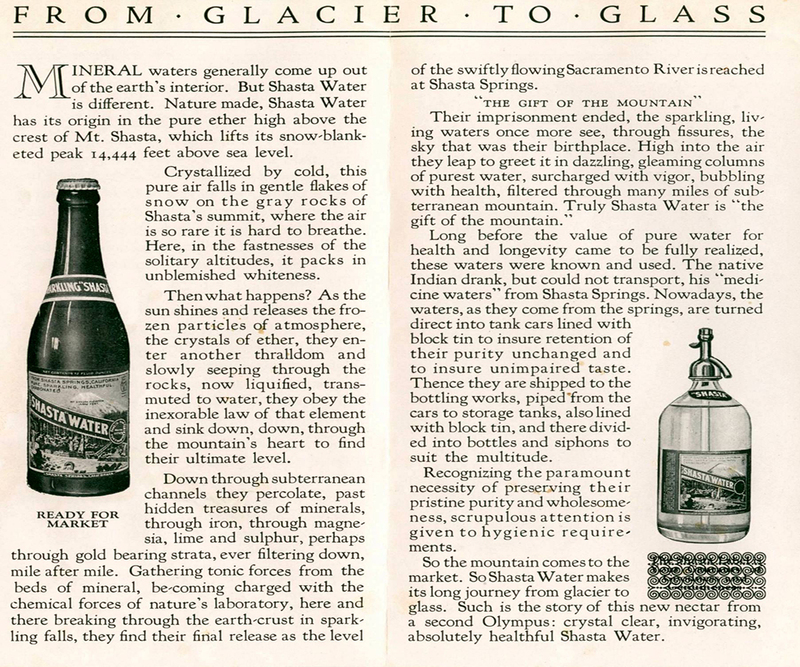 Subsequently, the tiny town of Dunsmuir was established in 1886 and began to attract visitors who marveled at the towering mountain and the promise of its rejuvenating glacial water. 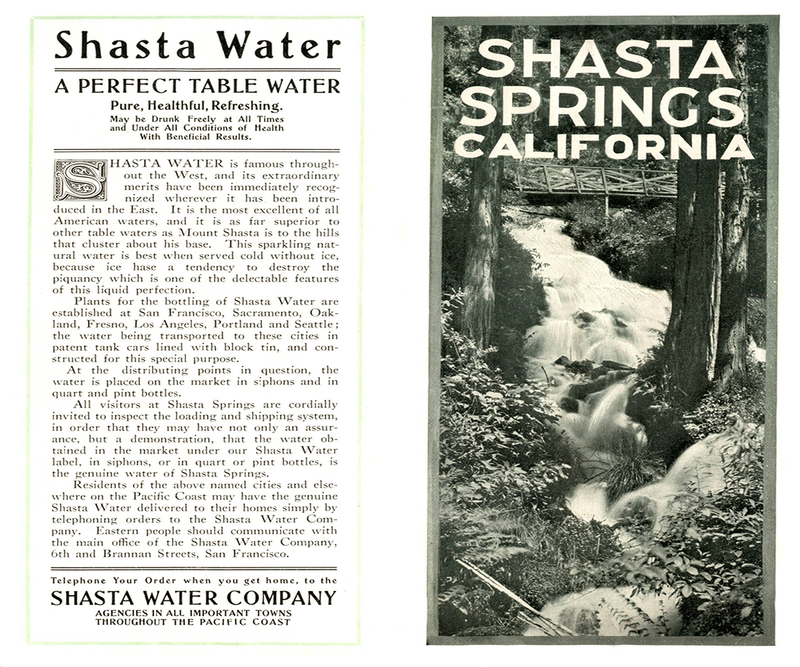 The fountain soon became a popular community landmark where railroad workers, local residents and tourists gathered on hot summer days to relax, breathe in the pure alpine air, and indulge in what was advertised as “The Best Water on Earth”. 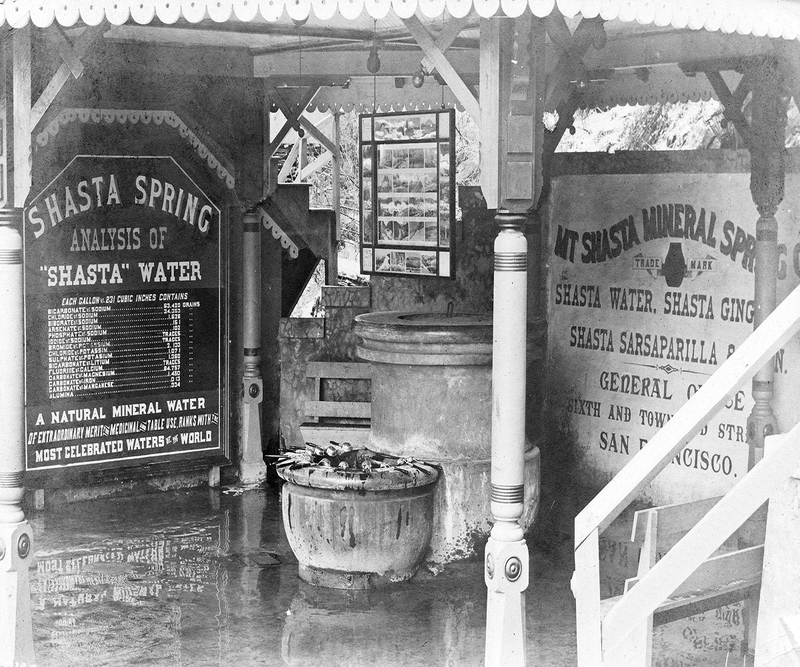 The legendary water quenched the spirit of many, including Alexander Graham Bell’s wife, who tried the water at the rail stop in Dunsmuir and wrote back to her husband about her positive experience. The Mt. 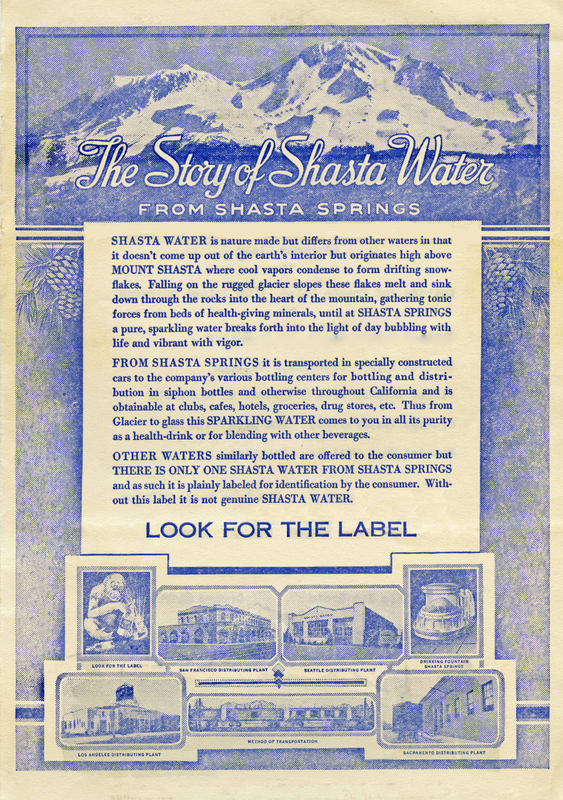 Shasta Mineral Spring Company, now classed Castle Rock Water Company, was founded in 1889 and provided glass bottles of fresh spring water collected from the lava tubes and streams at the base of the mountain. 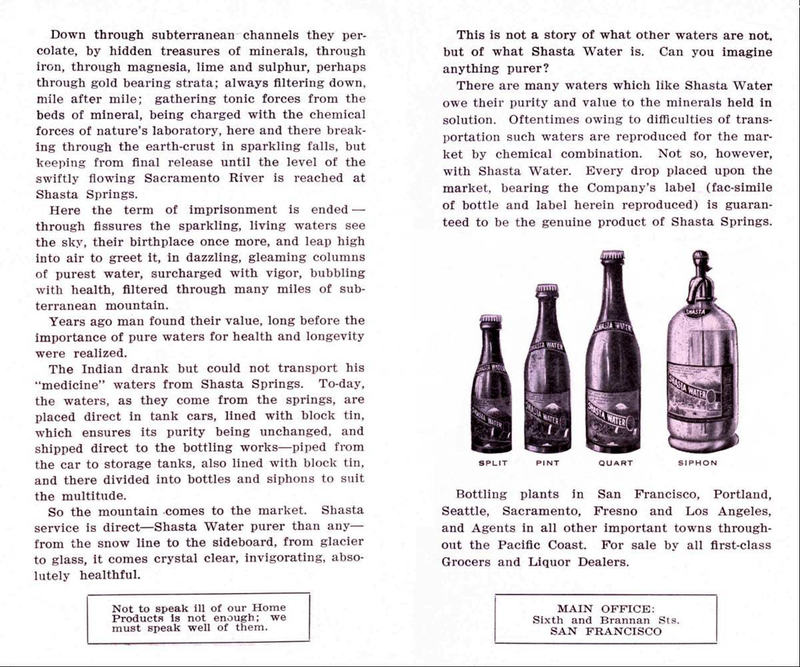 Special railroad cars were also designed to transport the water to outlying bottling plants in Sacramento and San Francisco which quickly became inundated with orders.